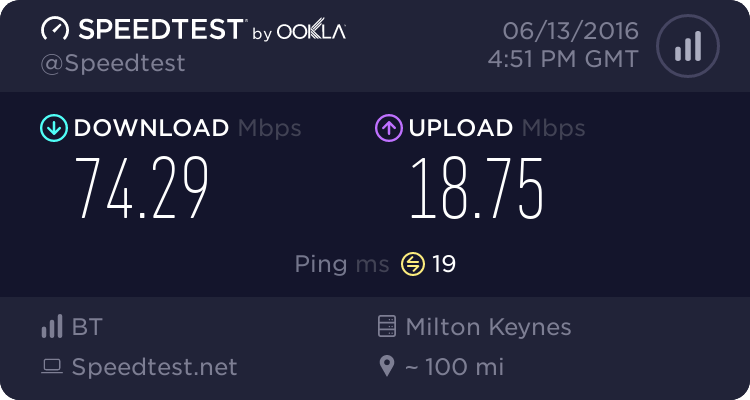 I'm thinking of moving from Plusnet to BT for cost reasons, can someone please advise is their support UK based like Plusnet? And any general views on it? Always been happy with Plusnet's support. BT Business is UK based. BT Consumer is currently in India for support however there are plans to bring a large amount back to the UK. Ah OK, thanks for the information. There are consumer THD desks in the UK, and as mentioned above 80% of all calls will be picked up in the UK by end of year. If you tweet @BTCare - I've found every time you get contacted by UK agents. I have to say BT support India based is the worst CS I have ever experienced. That said, I do think BT have started to realise this, as now when I call through I often speak to somebody in the UK and the difference is staggering. The UK guys are brilliant and give call backs, they surprise me in how pro-active and helpful they are. 1. I have no WiFi at all, the router is faulty. The WiFi network does not even show. I have tried changing channels, resetting the router, the usual. 2. Response: Have you tried to connect every fault device you own via ethernet? 3. No the router WiFi is not functioning at all, despite a router reset. The ethernet is fine. 4. Response: your line is testing perfectly everything is working perfectly. BT only provide a service to 4 devices over a wired line, wireless is not a guarantee. Please use a wire. As you say this works we are providing you a service. Thanks for calling BT, can I help with anything else? The above is pretty much word-for-word my BT India call. Hopefully BT will just close down the India support centre, it is worse than TalkTalks India call centre by a long shot and I thought that was poor. Although, TalkTalks support in the UK is also hideous. UK based BT support got a new hub to me in around 25 seconds of speaking to them. No faffing, no silly diagnosis, they just got it. Overall, their UK support is incredible, Indian support hideous. My advice, if you reach India, just call back another day.